My seventy-first stadium of 2011 was on Tuesday 18th October 2011 at Selhurst Park in South Norwood, London. The match was Crystal Palace vs. Bristol City in the Football League Championship. 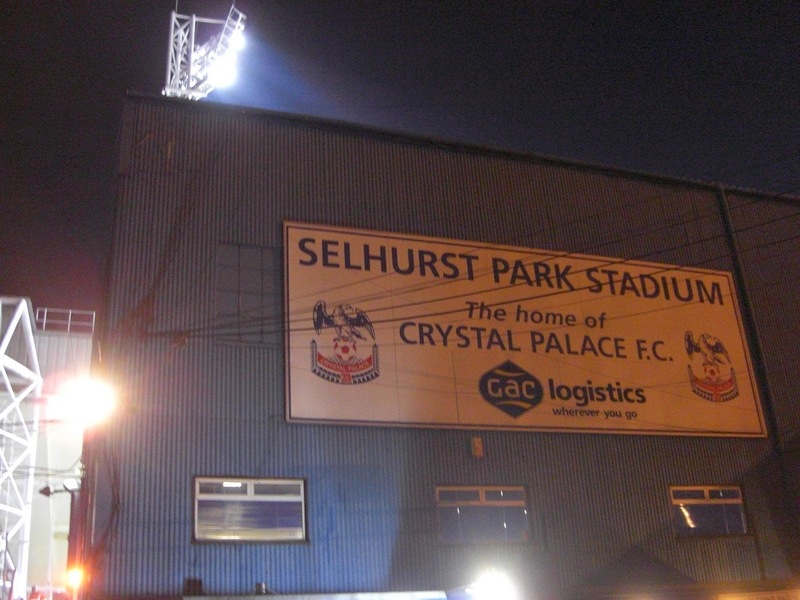 Selhurst Park is situated in a residential area a half-mile from Norwood Junction railway station although Selhurst and Thornton Heath railway stations are also close. The ground has been home to Crystal Palace since 1924. This was my second visit to Selhurst Park having been previously on 22nd November 1997 to see Wimbledon lose 5-2 to Manchester United in a Premier League match. The ground has changed little in the intervening period having seen its most recent major redevelopment in the mid-90s. 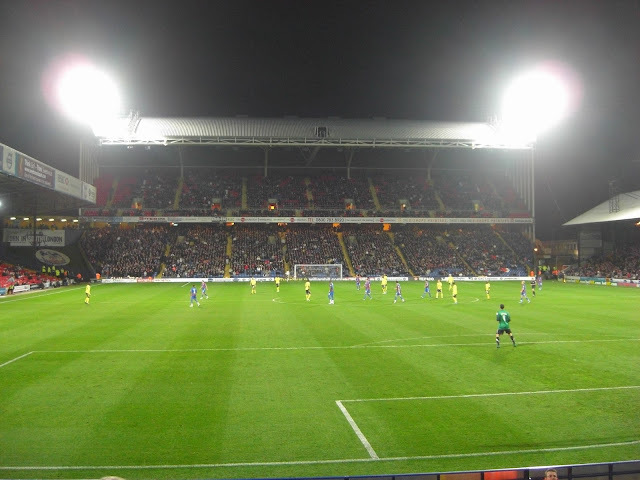 This period saw the building of the largest stand in the ground, the Holmesdale Stand, which has a capacity of 8,500. This structure which sits behind the goal in the south-east corner of the ground is the only two-tiered stand in the venue and looks much more modern than the rest of the three stands. Running the length of the field on the south-west side of the ground is the Main Stand and opposite this on the north-east side is the similar looking Arthur Waite Stand. Both are fairly dated looking structures with several supporting stanchions holding them up. 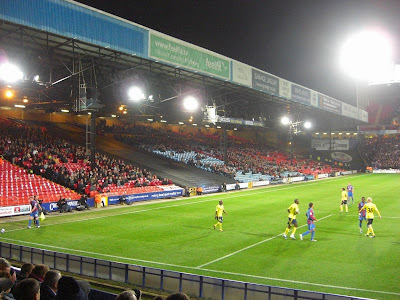 The remaining stand, the Whitehorse Lane Stand, is the smallest in the ground and sits behind the goal on the north-west side of Selhurst Park. This is where I watched the match from. The game saw a Crystal Palace side in good form taking on a managerless Bristol City who sat bottom of the table going into the evening. The home side dominated the first half with some excellent play down the wing by Wilfried Zaha generating a host of chances with Palace's strikers could not finish off. David James' erratic behaviour in the Bristol City goal was also gifting the home side opportunities but the teams went into the break tied at 0-0. Palace continued to push forward in the second period and having had two goals ruled out for offside earlier in the game finally got their reward when Glenn Murray scored from the penalty spot. The visitors offered little in the way of attacking venture with an easily saved close range header the closest they came to scoring and the home side duly ran out the match to claim a one-goal victory to please their fans.